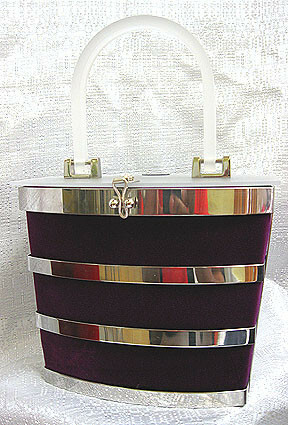 VM123- This Stainless Steel handbag is new to Snook. We've been working on them for some time. This is the first of our new line. We use stainless steel scraps from a facility near our studio. 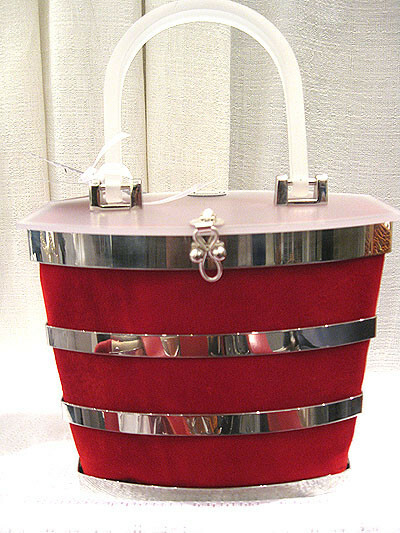 The top and handle is frosted acrylic. This bag has inserts that are reversible for two looks. 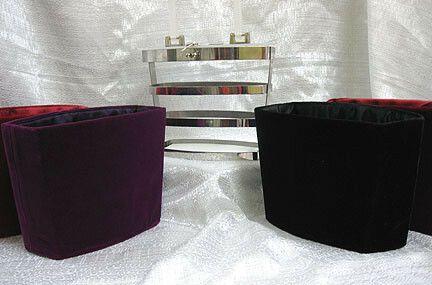 colors available are Christmas Red velvet with dragon red interio, Purple velvet with pruple interior, Denim with white canvas, Black velvet, five colors, Red, Black leather with leopard interior. 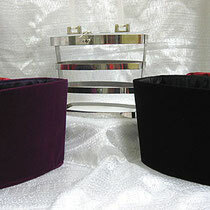 You are welcome to send us fabric so that we can do a custom insert for you. 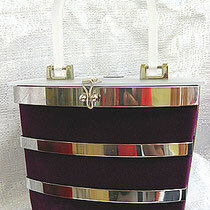 The bag measures 7.5 inches high and 8 inches wide at its widest point. 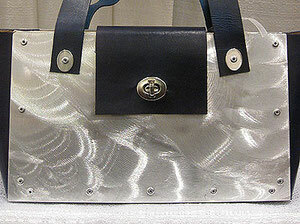 This brushed aluminum handbag is stylish, beautiful and will go with almost any other accessories. 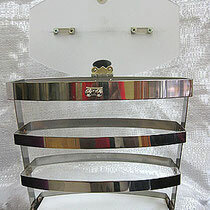 It measures approximately 10" wide and 6" tall. 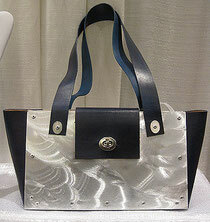 The vegetable tanned leather is colored with royal blue eco friendly dye. 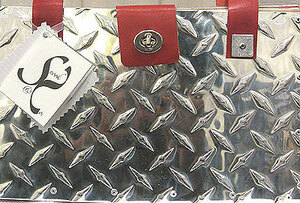 VM120 - We used aluminum diamond plate to give this handbag an industrial, polished look. 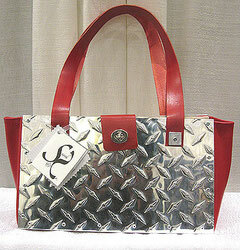 The red veg tanned leather makes this a perfect color combination. 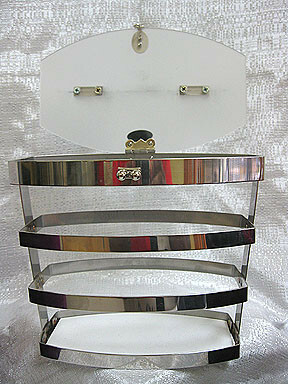 It measures 11" x 7" . 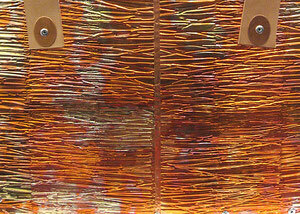 VM-121 This copper handbag has a rich patina that picks up various hues of purples, reds and browns. 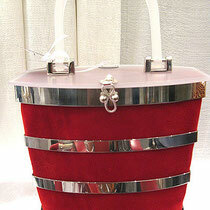 This one is an open tote. You can order it closed if wanted. 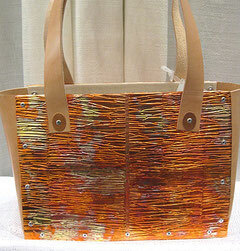 It has natural vegtan leather straps and side panels. It measures 13" x 10".